Inzae is a primer for a savage world of dark design. A land forged by the rage of a dragon. A land both harsh and cruel, where life is short and brutal and only the very strong or the very lucky survive. 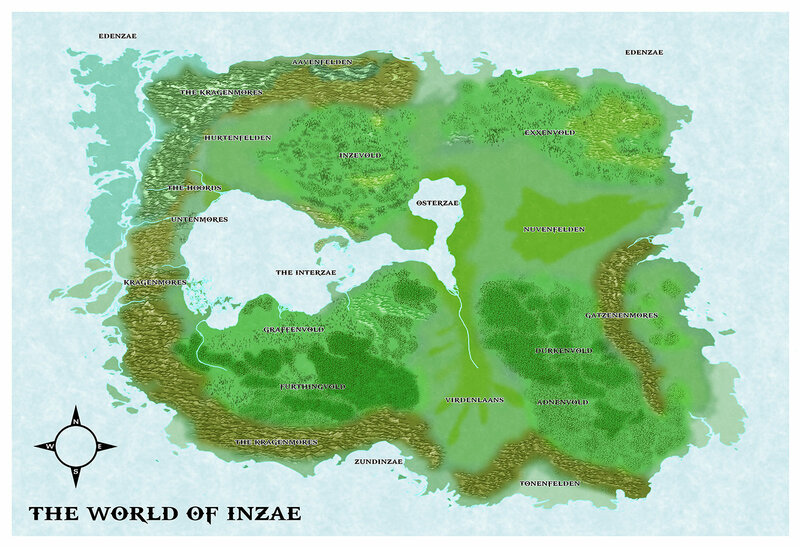 A 12" x 18" full color map of the world of Inzae!